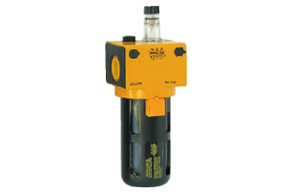 Filters series "UZF" are produced with connections G 1/4; they are available with various degrees of filtration and with manual or semi-automatic condensate drainage system. The techno-polymer bowls can carry a metallic protection or being entirely metallic (without visualization of level). 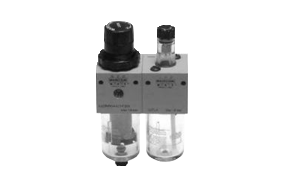 Reducers series "UZRR" are produced in two different models: type UZRRH, fit for in-line or panel mounting and type UZRRM, fit for panel mounting or modular assembly (with filter and lubricator).Both the two models are available with different scales of regulation and with connections G 1/4. 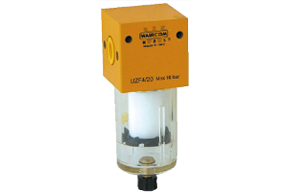 Lubricators series "UZL" are produced with connections G 1/4; the techno-polymer bowls can carry a metallic protection or being entirely metallic (without visualization of level). For a correct lubrication it is advisable to set the drip rate in order to have a drop of oil (WAIRSOL class ISO22) every 300 - 500 Nl/min. 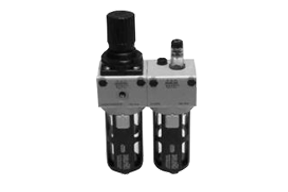 SOFT-START VALVE: soft-start valves series "UZAP" are produced with connection G 1/4 in the pneumatic and solenoid actuated versions. 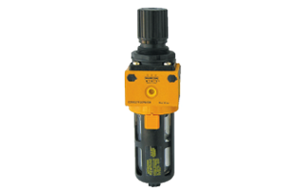 The working of the soft-start valve consists in feeding gradually air into the circuit with adjustable flow. 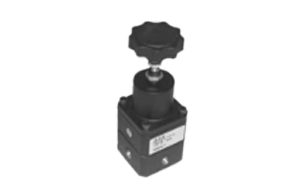 When the pressure in the circuit reaches the 50 ÷ 60% of the upstream set pressure, the valve switches to full capacity, supplying the circuit with the maximum flow rate. 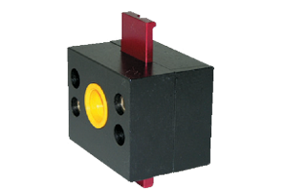 Shut - off valves series "UZVL" are produced with connection G 1/4 and they are fit to be locked in the exhaust position by means of a standard padlock. Filters series "EZF" are produced with connections G 3/8, G 1/2 and G 1; they are available with various degrees of filtration and with manual, semi-automatic or automatic condensate drainage system (except the size G 3/8). The techno-polymer bowls have a metallic protection as standard for the sizes G 1/2 and G 1, and made of glass stiffened polyamide on request for the size G 3/8. 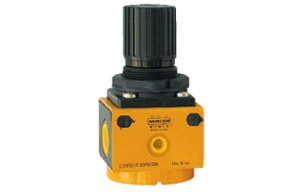 Pressure reducers series "EZRR" are produced with connections G 3/8, G 1/2 and G 1; they are available with different scales of regulation and can be supplied without the relieving seal on request. Filters reducers series "EZRR/F", produced with connections G 3/8, G 1/2 and G 1, combine the characteristics of the filters and of the pressure reducers series "EZ", thus optimizing the overall dimensions. 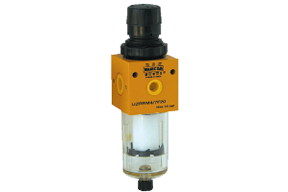 Lubricators series "EZL" are produced with connections G 3/8, G 1/2 and G 1; the techno-polymer bowls have a metallic protection as standard for the sizes G 1/2 and G 1, and made of glass stiffened polyamide on request for the size G 3/8.For a correct lubrication it is advisable to set the drip rate in order to have a drop (WAIRSOL class ISO22) every 300 - 500 Nl/min. 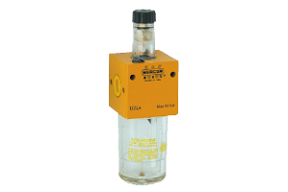 (oil mist lubrication). 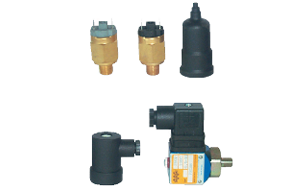 Soft - start valves series "EZAP" are produced with connections G 3/8, G 1/2 and G 1 in the pneumatic and solenoid actuated versions. 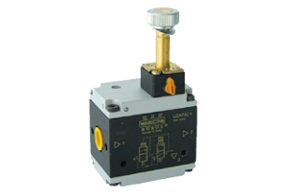 The working of the soft-start valves consists in feeding gradually air into the circuit with adjustable flow. 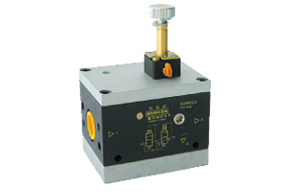 When the pressure in the circuit reaches the 50 ÷ 60% of the upstream set pressure, the valve switches to full capacity, supplying the circuit with the maximum flow rate. 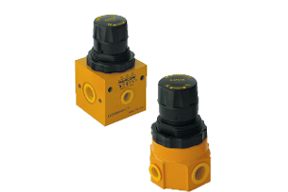 Shut - off valves series "EZVL" are produced with connections G 3/8,G 1/2 and G1 and they are fit to be locked in the exhaust position by means of a standard padlock. 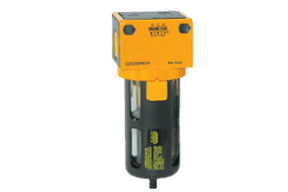 Proportional valves allow to adjust the output pressure by means of an electric signal. Depending on the set pressure, there’s an output electrical signal, called “feedback signal”. 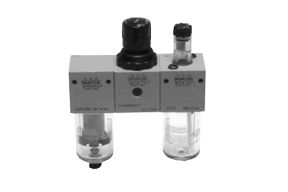 These valves have a display that,besides indicating the regulated pressure, facilitates the configuration thanks to the user panel at the valveside.These valves are available in G1/8”, G1/4” and G1/2” sizes. 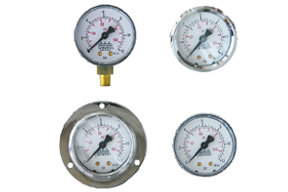 Pressure gauges allow sensing the pressure in the pneumatic circuits. 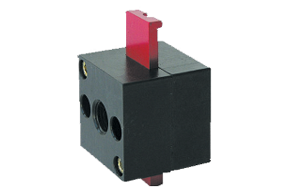 They are suitable to be applied directly on the pressure regulator or for panel mounting and they are avalailable in the versions: axial (MA), radial (MR), with flange (MF) and with bracket (MP), in the bore 40 - 50 - 63 - 100.